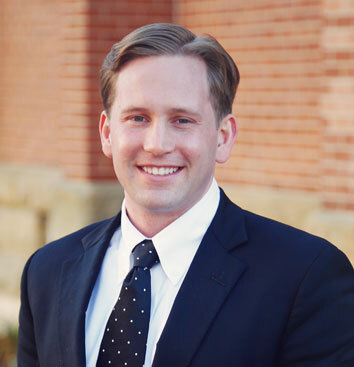 Zachary concentrates his practice primarily defending employers in workers' compensation, criminal defense, domestic relations and custody matters, and civil trial practice. His criminal defense practice consists of OMVI and other misdemeanor cases. Originally from Bucyrus, Ohio, Zachary graduated from Ohio University in 2007 with a Bachelor of Arts in Philosophy. At OU, he was presented with a philosophy academic achievement award, earned Dean’s List recognition, and was a member of the National Scholars Honors Society. Zachary earned his Juris Doctor in 2011 from New England Law Boston in Boston, Mass., where he was a volunteer member of the International Law Society for Human Rights and also earned Dean’s List distinctions. Zachary was admitted to the bar of the State of Ohio in 2011. Prior to joining Mollica Gall Sloan & Sillery, Zachary worked as a law clerk in Boston, Mass, and as an associate with a firm in Ohio where he represented clients in criminal, civil, domestic, juvenile, real property, and appellate law matters. Zachary is a member of five Bar Associations. He is also an international member of the Phi Alpha Delta Law Fraternity and holds memberships with the American and Ohio Associations for Justice. He resides in Athens.